While 10 of 12 players in Maryland baseball’s Class of 2017 are from the mid-Atlantic, one signee is set to travel from one coast to another to put on a Terrapin jersey next fall. First baseman commit Michael Pineiro is a senior at Los Osos High School in Rancho Cucamonga, California, which is approximately 2,600 miles from the University of Maryland—a lengthy 38-hour drive. He’ll be the first Maryland player from the state of California since former Maryland right-hander Jake Stinnett, who was selected in the second round of the 2014 MLB Draft by the Chicago Cubs. Although he will move across the country to play baseball for the next four years, Pineiro is not too worried about being so far away from his home in California. Pineiro’s desire to “focus more” stems from that fact this is the first year he’s played baseball year-round. He played on his high school football team through his junior year but stopped in fear of getting hurt and wanting to focus solely on baseball. But Pineiro believes he’s been at a disadvantage since many of his teammates spend the entire year on the diamond while he’s had to take time off for football. While it’s just his first year focusing primarily on baseball, Pineiro has loved the game since the age of three when his dad first introduced him to the sport. But Pineiro’s father-son baseball relationship is not one everyone gets to experience. His father, Mike Pineiro, was drafted out of West Covina High School (Calif.) in the 1990 MLB June Amateur Draft by the California Angels. He hit .263 in five seasons in the minors before going on to play two additional seasons in an independent league. After his dad left the game, he went on to teach his son everything he knew about baseball. It was on a travel team during a tournament in Virginia that Pineiro showcased his skills in front of the Maryland coaching staff, including head coach John Szefc. Even though he had a really great weekend at the plate, Pineiro says he prides himself on defense. While Pineiro is excited for the “true hops” on the turf at Bob “Turtle” Smith Stadium, the field was just one of many factors that drew him to College Park. Even though Pineiro is anxious to step foot on campus this fall, he says he has to work on his consistency this spring. While there is always room for improvement, Romero is optimistic about both Pineiro’s senior season and future in college baseball. Since he didn’t play football this past fall, Pineiro has been working out in the weight room and hitting in the cage as much as possible, in addition to other team activities. Pineiro will look to build off a solid junior season, one in which he hit .292 with five doubles, eleven runs scored and eleven RBI’s in 23 games. According to his coach, Pineiro is not a leader who motivates his team by getting loud and yelling. Instead, he uses his personality to spark energy. After Pineiro chases his goal of clinching a playoff berth and then making a championship run with his high school team, he will then look forward to making that 2,600-mile trip to Maryland, a school he felt comfortable committing to despite the distance. Lenape High School leadoff hitter Tommy Gardiner stood in the batter’s box facing a 1-2 count. On the next pitch, he unloaded, launching the curveball over the left-center field fence to give the Lenape Indians a 1-0 lead over Camden Catholic. The Indians would go on to win 4-1 on Senior Night. 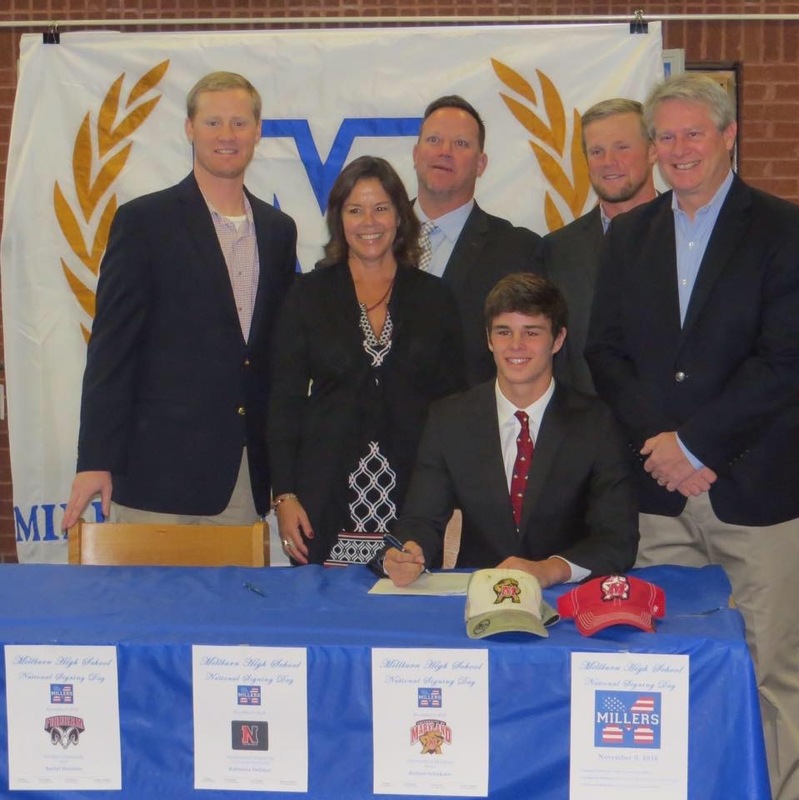 Gardiner signed his National Letter of Intent to play baseball at the University of Maryland on November 9. The 5’8, 140 lb. 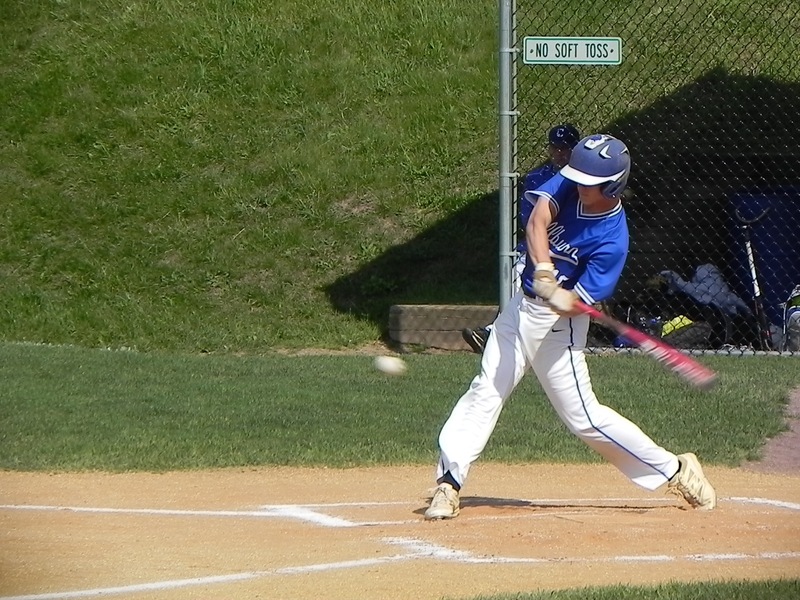 second-baseman will have some familiar faces on the roster as he is already well acquainted with fellow commits Drew Wilden, Chris Alleyne and Richie Schiekofer—all four are from the South Jersey/Philadelphia area. Gardiner, a native of Mount Laurel, N.J., started playing baseball around the age of five. Originally a catcher, he made the move to the middle infield seven years later. In eighth grade, Gardiner attended an All Out Baseball (AOB) showcase, participating with some of the best high school players in the area. Lynam raves about his defensive skills as well, saying he has the utmost confidence in him to make plays. Photo Courtesy of Tommy Gardiner. As much as Gardiner is talented, it’s his work ethic that really impresses Lynam. But Gardiner’s size, or lack thereof, gave him a chip on his shoulder which helped fuel an unstoppable determination. Gardiner’s hard work and dedication made him into “one of the best pure hitters in [ABO’s] program,” according to Lynam. While he is excited to get started at the University of Maryland, Gardiner’s focus is currently on his high school baseball team. Until his sophomore year of high school, Drew Wilden was a center fielder. He started pitching only when his coach put him on the mound to see what would happen. His velocity and accuracy have increased since then, and now, two years later, he’s a talented southpaw with a 90 mph fastball and a filthy slider. Perfect Game’s No. 1 left-handed pitcher in New Jersey, Wilden signed his national letter of intent Nov. 9 to continue his career as a member of the University of Maryland’s pitching staff. Photo courtesy of Drew Wilden. Wilden started playing baseball when he was five, and has played every spring and fall since then. As a New Jersey native, he grew up a Phillies fan and has always looked up to Cole Hamels. Now that he’s a pitcher, Wilden says he strives to be the same kind of pitcher as Hamels and works off his style. In addition to playing for West Deptford High School, Wilden plays summers and falls with All Out Baseball, an elite South Jersey college prep baseball program. He said his experience with All Out challenges him in a way that high school baseball can’t, as they travel more extensively and he’s faced some of the best players on the east coast. Entering his final season before college, Wilden would like for his high school team to replicate what they did last season. When Wilden visited Maryland, he knew it was the place where he wanted to spend his college career. He said he instantly made connections with the coaches and Maryland’s baseball program is “on the rise.” He also said he appreciated the beautiful campus and it immediately felt like home. In his time at Maryland, he anticipates having teammates he can rely on and making sure his teammates know they can rely on him. “Winning the College World Series is definitely on my bucket list,” Wilden said. But for now, he said, the most important thing is to work and hard and win games as a team. 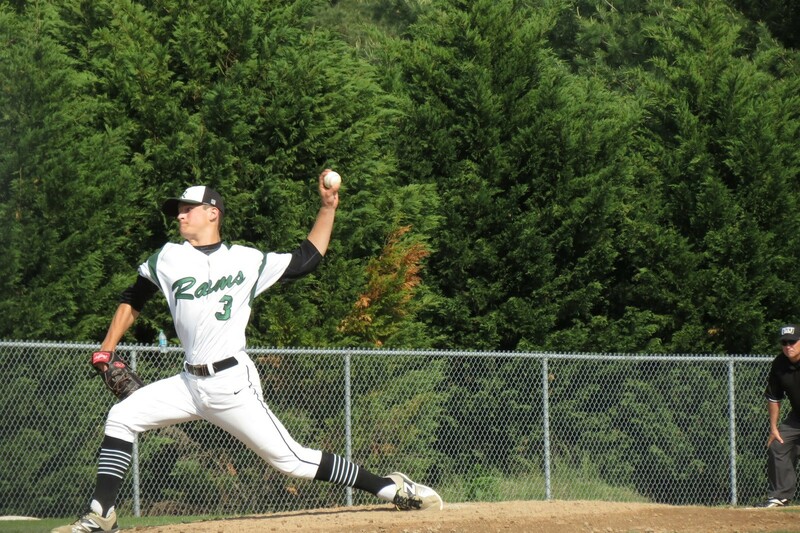 With two strikes and two outs, just one pitch separated Grant Burleson and Parkside High School from the Bayside Conference Championship title. Bearing down, he threw a fastball for strike three to seal the deal, and his teammates dog-piled to celebrate the school’s first conference title since 1996. The No. 4 player in Maryland according to Prep Baseball Report, Burleson signed his national letter of intent on November 9, confirming his commitment to the University of Maryland. He joins fellow Parkside southpaw Sean Fisher as part of the Terps’ 2017 recruiting class. Both will join sophomore right-hander Hunter Parsons as Parkside alumni on Maryland’s roster. Photo courtesy of Grant Burleson. Burleson looks up to Los Angeles Dodgers’ left-hander Clayton Kershaw, and takes after him on the mound with swing-and-miss stuff. This past spring for Parkside, he struck out 31 batters in just 18 innings, effectively using a three-pitch mix of a fastball, curveball and change-up. The left-hander will pitch for the Terps, but he is not too shabby a hitter himself, as he was tied for third on Parkside last year with 19 hits. But while he has earned high praise on the field, he has the respect of others off the field as well. But despite his accomplishments so far, Burleson wants to improve further before he takes the mound for the Terps. “I feel like I need to work on my changeup, just mixing up speeds and hitting my spots better,” he said. While he looks forward to playing with Fisher and Parsons again with the Terps, it was not the deciding factor in signing with Maryland. He ultimately chose College Park because it is a ‘good distance from home,’ and his admiration for the coaching staff at Maryland. “I want to get a degree at the University of Maryland, and also be successful in helping the baseball team,” Burleson said. The Millburn Millers (Millburn, N.J.) are 49-10 and have won a state championship since 2015, which is when Richie Schiekofer earned a starting role on the varsity team as a sophomore. The senior outfielder has provided a spark in the leadoff spot, on the base paths and with his glove, and he is now looking to be that same catalyst for the Terps. Schiekofer is one of ten players from the class of 2017 to sign his National Letter of Intent to play baseball at the University of Maryland. Photo courtesy of Richie Schiekofer. Connections to coaches, the new facilities and the school’s academic offerings are the primary factors that Schiekofer said went into his decision. If his high school track record is an indication of things to come, the Terps are getting a true difference maker in Schiekofer. 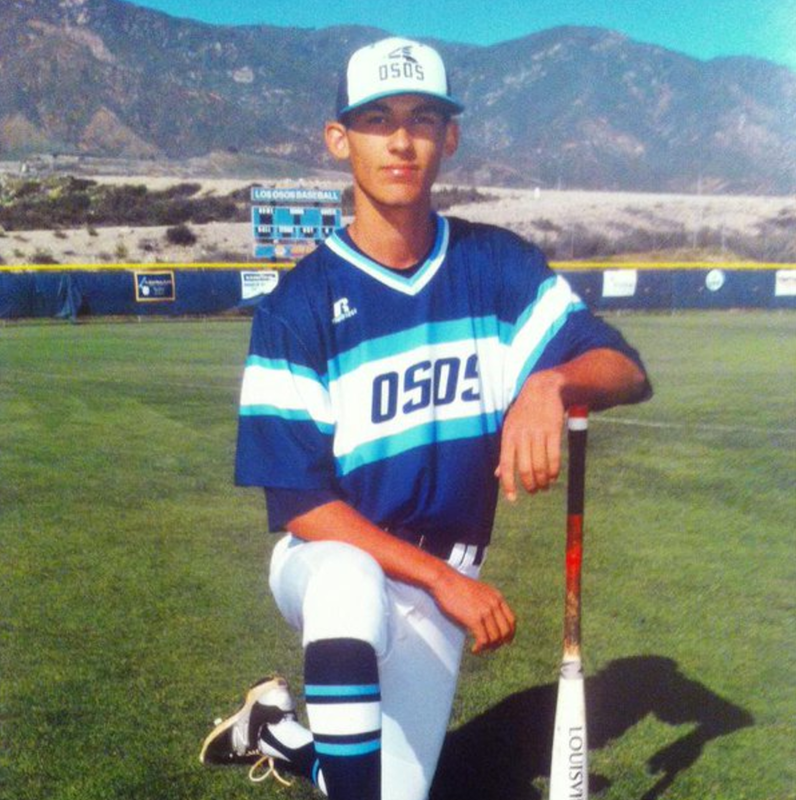 He made his varsity debut as a sophomore and was immediately thrust into the leadoff spot. The outfielder batted .393 with 39 runs scored, 13 RBIs, and 15 stolen bases. The team went on to win a state championship, and Schiekofer was named Second-Team All-Conference and Third-Team All-Group 4. As a junior, he batted .435 with 36 runs scored, 19 RBIs, and 16 stolen bases. He was named First-Team All-Conference and Third-Team All-Group 4, but Millburn fell just shy of a second consecutive state championship. Chapman actually believes Schiekofer has a sixth tool in his arsenal – leadership. Schiekofer spent his sophomore year in left field, but Chapman knew his true position was in center. Chapman called Schiekofer into his office for a meeting to discuss the move, but Schiekofer turned it down. One of his close friends, Nick Minter, was a rising senior, and he wanted Minter to be able to spend his senior season in center field. Schiekofer still has one more year of high school baseball and emphasized the fact that his focus is on winning another state championship, but he also has an eye toward the future. Sean Fisher’s love of the game started at an early age. From the time his parents signed him up for the Salvation Army league as a child, he was hooked on baseball. A two-sport athlete for most of his life, he played soccer and baseball at the varsity level at Parkside High School in Salisbury, Maryland. But there was never a question of which sport he preferred; baseball has always been number one. A left-handed pitcher, the thrill of being on the mound fuels Fisher’s passion for the game. “There is no better feeling than being out there in a really important game, in a tough situation, just trying to work out of it,” he said. Fisher will bring that passion with him to Maryland, as on Nov. 9, the Parsonburg, Maryland, native signed his national letter of intent to play for the Terrapins. A two-way player in high school, he was no slouch at the plate in the spring, hitting .255 with 10 RBI and a .739 OPS as a junior. But it was on the mound that he came into his own, as he pitched to a 3.39 ERA and held opponents to a .190 batting average while striking out 48 hitters in 31 innings en route to Parkside’s first Bayside Conference championship in 20 years. According to Prep Baseball Report, he has a mid-80s fastball to go with a plus curveball and a changeup, a mix that has given him a lot of success, according to Parkside head coach Brian Hollamon. Off the field, he makes just as much of an impact, as Hollamon said he’s a “jokester” who helps keep things loose on the bench when he isn’t out on the mound. But despite his recent success, Fisher never takes anything for granted, saying that his major goal throughout his career has always been to just keep improving. Fisher, who is now a senior in high school, is the third Parkside alum to sign with Maryland in recent years. Hunter Parsons (Parkside Class of 2015) is coming off a strong freshman campaign in the Terps’ rotation, and Class of 2017 teammate Grant Burleson has also signed to play in College Park. Photo courtesy of Sean Fisher. Growing up, Fisher didn’t expect to play college baseball at a Division I school, so he jumped at the opportunity when Maryland gave him an offer. Knowing that Parsons has excelled with the Terps and that Burleson would accompany him to College Park influenced his decision, but ultimately, talking to the coaches made him certain this was the place for him. Chris Alleyne is one of ten players in the class of 2017 who have signed their National Letter of Intent to play baseball for Maryland. The switch-hitting middle infielder out of Philadelphia, Pa., signed his National Letter of Intent on November 9. Chris Alleyne signed his National Letter of Intent to play for Maryland on Nov. 9. Springside Chestnut Hill head coach Joe Ishikawa is confident that Alleyne is well prepared for Maryland. He believes that defensively, Alleyne could play at the Division I level now. “Defensively, he’s in another world,” he said. According to Ishikawa, Alleyne has quick hands, a great arm and is very versatile. He allows Ishikawa to play his outfield deep because of how well he can move to shallow left and center field from shortstop. Offensively, Ishikawa described Alleyne as a clutch switch hitter with gap-to-gap power, who is also very fast. Alleyne was named a high honorable mention on Rawlings and Perfect Game’s 2016 Preseason All-American Team. Alleyne will join a former Springside Chestnut Hill Blue Devil on the Terps’ roster next fall. Junior outfielder Zach Jancarski, who is good friends with Alleyne’s older brother, showed Alleyne around the campus during his visit to Maryland. During Jancarski’s first year on the Terps, he entered as a pinch runner sixteen times and started in four games. As a sophomore, Jancarski started in 28 games and became the everyday center fielder two months into the season. Ishikawa predicts a similar path for Alleyne. Alleyne is up for any challenge. He plans to come out and compete for his spot on the team everyday when he arrives in College Park. “I love to compete because I think it brings out the best in players and it’s a huge part of my game,” Alleyne said. Ishikawa pointed out Alleyne’s competitive spirit as one of his biggest strengths. “He is just a true competitor and with that comes his extraordinary work ethic,” Ishikawa said. Until Alleyne gets the opportunity to compete for a spot on the field at Maryland, he is preparing for his senior season by working on hitting for power. In addition to improving another aspect of his game, Alleyne’s goal for his senior season is to be a good leader. “I want to lead my team to a league championship by bringing them together and setting a foundation for the freshmen and sophomores,” Alleyne said. Typically, the captain position on Springside Chestnut Hill’s team is reserved for seniors. However, Alleyne was named captain by his teammates last year, as a junior, and will return as head captain this year.